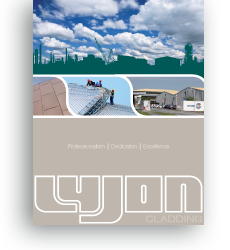 Lyjon Cladding division, under the banner of Ellesmere Port Insulation (UK) Limited, has been established since 1964 providing a service to regional and national clients. We carry out industrial roofing and cladding on new builds and existing plants for a number of blue chip companies including: Tate & Lyle, Nustar Terminals, Georgia Pacific, Shotton Paper, DSM Resins and Convatec. Establish, maintain and continually improve a ‘Quality Management System’ that meets the requirements of BSENISO 9001:2000.